The goal of every musician is to make it big and sign with a major label and make tons and tons of money, right? Well, no, of course not. Plenty of artists would prefer to have control of their own destinies even if it means not being the most popular. And sometimes that can even be the goal. If, like Mystery Science Theater 3000, you can find the right people, to “make the right people smile,” perhaps, then maybe that’s exactly where you want to be. 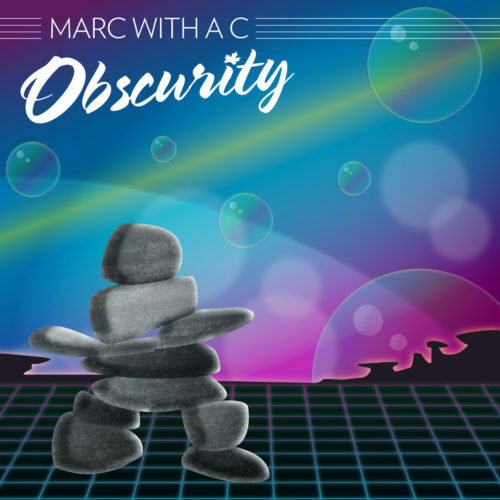 Marc with a C has been exploring the idea of popularity, especially of music, for quite some time, and that theme is on pretty much every track on his newest album, Obscurity. While Marc has described this album as the final part of a trilogy (beginning with Unicorns Get More Bacon followed by the Half Serious, Half Kidding EP, then this album), it’s really more like the culmination of everything else in his discography, especially everything after Popular Music. That’s where Marc’s music got particularly meta, and this album takes that to a whole new level, even getting meta about popular music itself (Popular Music is, after all, the opposite of Obscurity, right?). 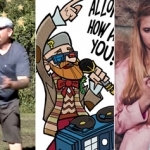 For example, while the narrator in the song “Terribly Popular” probably isn’t actually Marc (it seems to me to be the same person as “Selfies” from Half Serious, even though that’s StarF’s song), it is nonetheless a take-down of Internet celebrity (something Marc also does on “Celebutantes” from Unicorns). Marc is clearly critical of this kind of vacuous “terrible” popularity, preferring to be popular with, again, the right people. Even tracks that at first glance may not obviously be about popularity still have that theme. Take “Maybe,” a response song to The Police’s “Roxanne,” told from Roxanne’s perspective. During Marc’s recent birthday show (more on that later), he mentioned that in the original song it seems as if the goal of the narrator is to take Roxanne home to be his wife and have kids and such. The American Dream, if you will. But what if Roxanne doesn’t want that? What if she likes the red light and the make-up? Is that so wrong? Why should she try to do what everyone else wants, to try to become popular and successful? So “Maybe” is Marc with a C, righting the wrongs of popular music (as he also put it during his birthday show). Actually, then, I suppose Obscurity is probably more accurately about the struggle of the independent artist as opposed to being popular (even the title is a nod to the idea of remaining obscure). Nowhere is this more clear than the last three tracks (“Obscurity,” “Please Don’t Let My Art Die,” and “Why” (itself a reference to a fairly obscure video that Marc created to go with Exactly Where I Am)), which I’ve taken to calling the Obscurity Suite, after the Bootwater Suite on Marc’s Exactly Where I Am. This is where Marc really sets out his artist statement for the album. Actually, probably for his past and future as well. For Marc, the goal has never been to “make it,” it’s always been about the music. “Obscurity,” as he puts it in the title track, “is the goal” (and don’t think the meta-commentary of that being the name of this album is lost on me!). But he does want to have his music live on after his death, something that becomes abundantly clear in the final couple of minutes of the album. OK, that’s probably enough common themes and threads and connections for now. I could definitely go on and on and on about everything that I’ve already noticed — and then add in more next time I listen to it. That’s why this review got delayed, actually — I kept finding new stuff to mention. But, really, it’s far more fun for you to discover it on your own. And I have no doubt you’ll find connections I’ve missed! That said, I’d be remiss if I didn’t say something about the music itself. 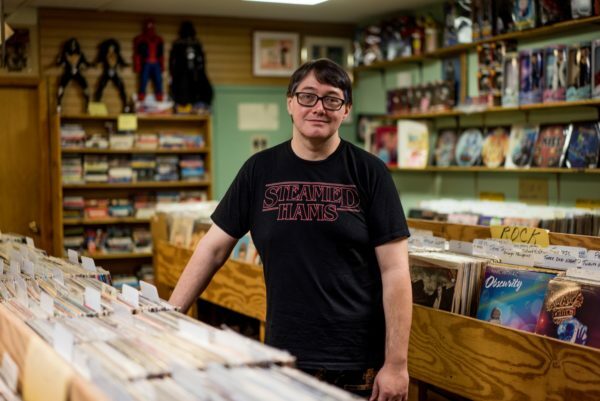 Marc is known primarily as a lo-fi (or at most mid-fi), DIY artist. On this album, however, he had a chance to work with one of his favorite artists and producers, Jordan Zadorozny of Blinker the Star. Jordan plays all of the drums as well as other instruments (the “exact” percentages that he played is broken down on the liner notes of the album, a nod to the charts and statistics on Popular Music). He also produced it, and his production really shines through. If you’re a fan of Marc’s earlier work, you’ll hear it immediately. There’s just that extra, more polished, more full, sound, plus you’ll hear instruments you wouldn’t necessarily hear on Marc’s albums (like the banjitar on “One of These Are Gonna Be Your Day”). Interestingly, however, I feel like bringing in an external producer actually makes this the most Marc with a C album of them all. It captures his essential spirit, but dials it up. And there are even nods to his lo-fi past that I’ll just let you discover on your own because doing so is just so poignant (I seriously get choked up many times during the final three tracks). Before I finish, I’m going to digress slightly to talk about Marc’s aforementioned recent birthday show because I think it’s relevant to understanding the album. This year’s show was a bit different from past shows; he set it up as a one man show called “The Obscurity Show.” It was an absolutely fascinating way to present this new material to the audience, most of whom had never heard it before, interspersing the new songs with related older ones. For example, he prefaced “Old Man Yells at iCloud” with “Motherf***ers Be Bulls***in’,” telling us he had more to say about the subject matter of that older track. I probably would never have made that connection if I hadn’t heard him talk about it. Additionally, and directly related to that older song, if you’ve ever seen Marc perform, you know that he makes three requests of his audience: the first is that people buy merch, the second… well… you’ll have to see him for yourself since I’d rather not get him in trouble… And the third is the title of that song, which he then plays. But this time he made this request after he’d already played “MFers.” Instead he played “Please Don’t Let My Art Die,” which I think made it even more powerful. I really love the new way that he presented his songs, weaving them together into a narrative. It truly brings it all together, something that the album Obscurity itself does as well. I hope to see more of that sort of thing in the future. Those weren’t even close to the only connections that he made, but I think this review is getting long enough as it is, so I’ll save my dissertation on this album for another time! 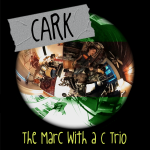 Now, with everything I’ve written about connections and such, do you have to be familiar with the rest of Marc’s catalog to enjoy this album? No… or at least most likely not. But I’ll be the first to admit that it’s pretty much impossible for me to evaluate this album while ignoring that knowledge. That said, I’m fairly confident that this album makes an excellent introduction to Marc with a C that will reward you the deeper you get into his back catalog. I also suspect you’ll be buying a record player if you don’t already own one. And if you’re already a fan? Well, geez, why haven’t you already pre-ordered it on vinyl yet? Go do that right now!